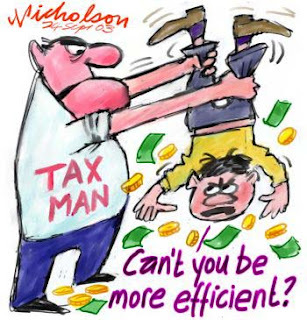 You can save considerable amount of tax if you plan your investments early in the financial year. As per income tax act under section 80C, individuals can invest up to Rs 1,00,000 in various tax savings schemes and thus save a maximum of Rs 30,300(depends on your tax slab). Best part is, most of us are not aware of other income tax sections to save tax above this one Lakh limit! Click here for the tax slabs for the financial year 2013-2014. * Note :- Affixing of revenue stamp is not required in the city of Bangalore. Life Insurance Premium - Benefit can be given for 1) yourself, 2) spouse, and child (married / unmarried, dependent / not dependent). Premium paid on exceeding 20% of sum assured is not eligible for deduction. Also, no deduction is available if the duration of the policy is less than 5 years. Bank Fixed deposits or Term deposits for more than 5 years - You need to submit a copy of FDR certificate which states the period of investment, amount invested, and name of the person who has taken fixed deposit. Principal part of EMI on Housing Loan - You can save up to Rs. 1 Lakh each year irrespective of your tax bracket, only if the property is for your own use. Other than self-occupied, if the property is in a different city than where you reside currently, you can rent it out. It includes principal amount of housing loan re-paid and expenses incurred for transfer of title of house property such as registration charges, stamp duty, brokerage etc provided the same are paid in the current financial year. Deduction is allowed on the basis of re-payment certificate provided by the bank / financial institution / person to whom loan is re-paid. Tuition Fees - Deduction of tuition fees paid during the current financial year is allowed for maximum two children. Also, benefit is available only for tuition fee component of the total fee and not of other constituents like Building fund, Bus fee etc. Copy of current year receipt from university / Collage / School / other education institute situated in India will be considered. In addition, it should have been paid for a full education. Play School fee is considered only if registered with a recognized Board or University. Interest accrued on NSC - Interest on NSCs which has been purchased in earlier years and which is being re-invested qualifies for benefit. Submit copy of NSCs of earlier years not earlier than the year 2005. Bonds - issued by national bank of agriculture and rural development. Part II of this article explains various tax saving options above One Lakh limit. very useful article. I literally avoided calling an auditor for help, after reading this article. I was just able to submit my documents very easily, because I knew what i need to submit!! :) thanks a lot.